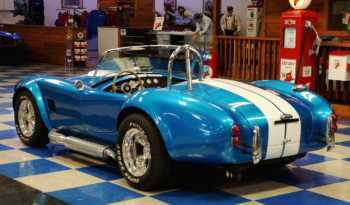 B&B Roadster Replica Body and titled as 1965. 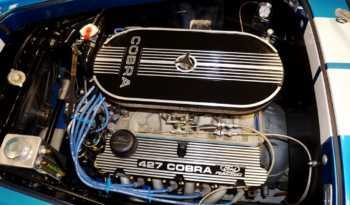 351 cui engine. 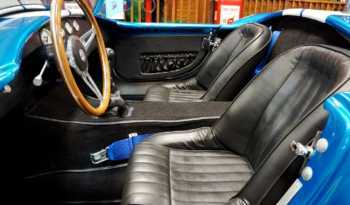 Automatic Overdrive (AOD) transmission. 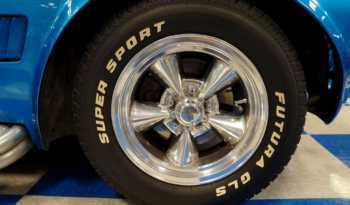 Currie 9″ rear end. 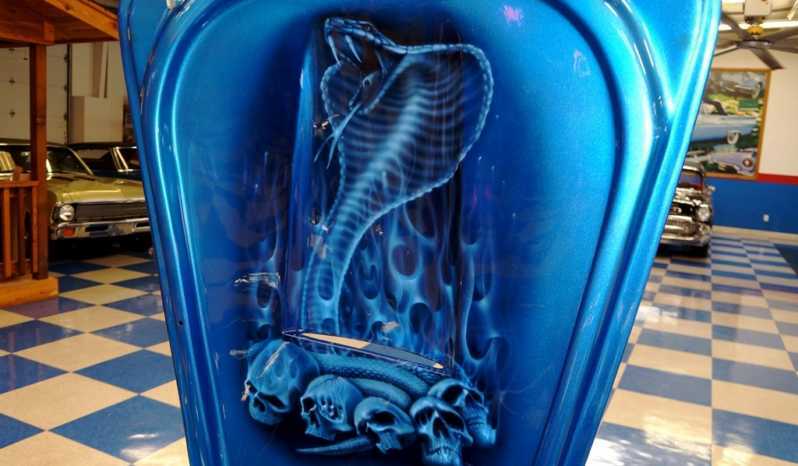 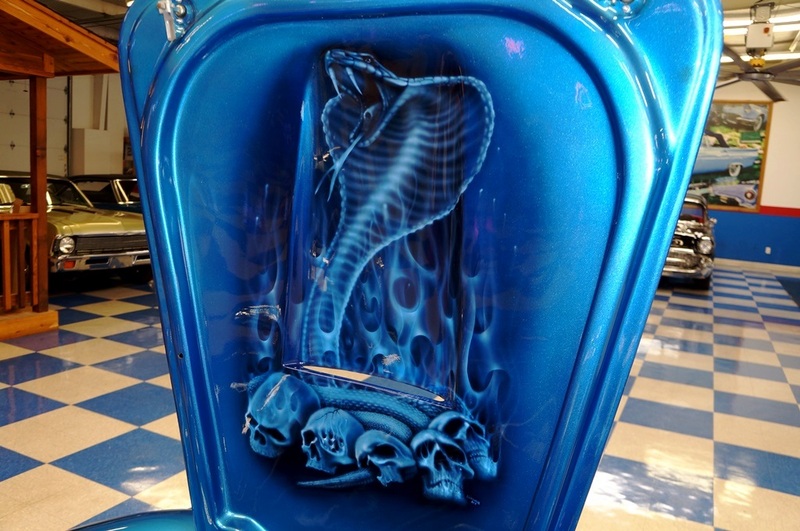 Painted Metallic Blue with White stripes & under-hood custom AirBrushed design. 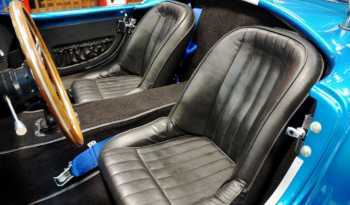 Black bucket seat interior. 4 wheel disc brakes. 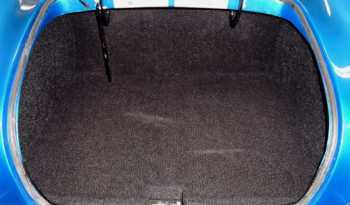 Rack & Pinion steering. 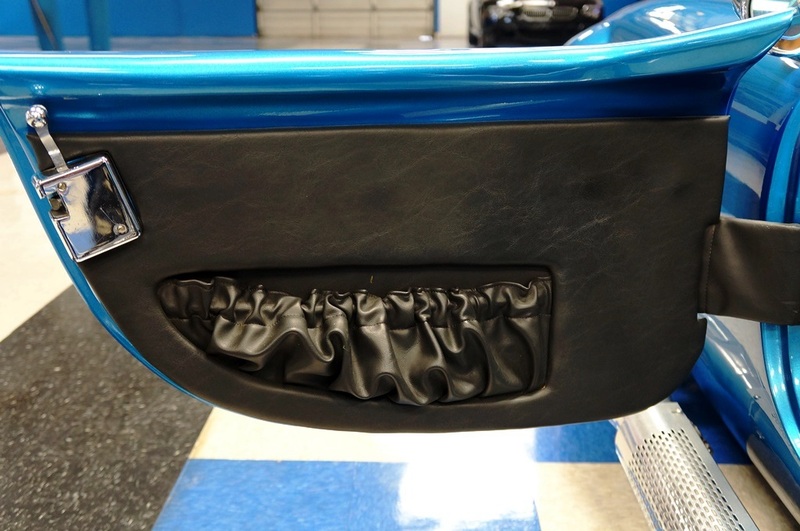 Dual side pipe exhaust with heat shield. 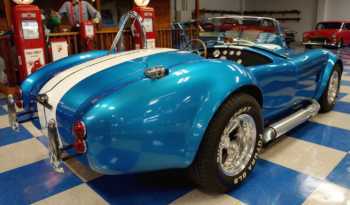 4 wheel coil-over suspension. Edelbrock intake. Pro Billet distributor. 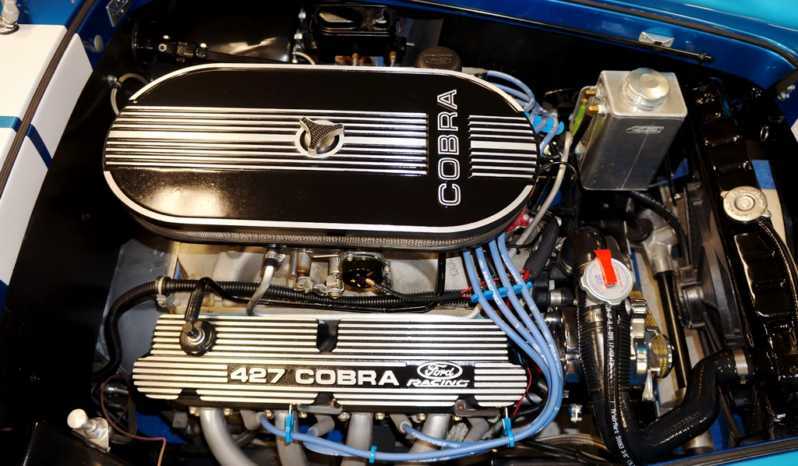 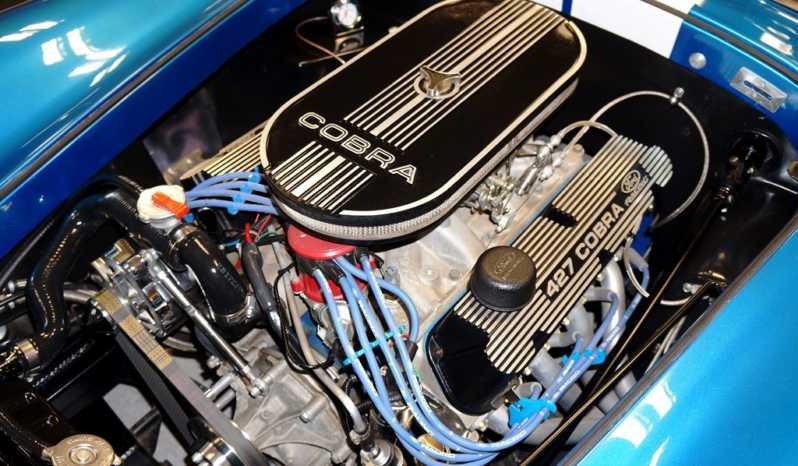 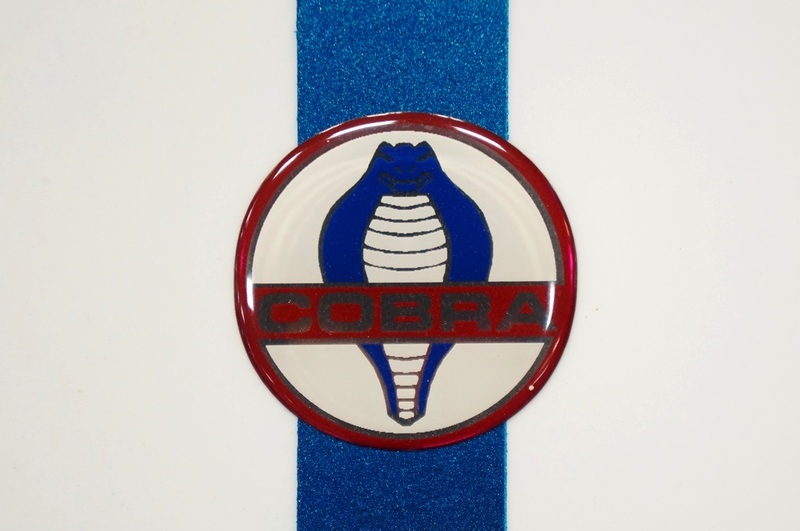 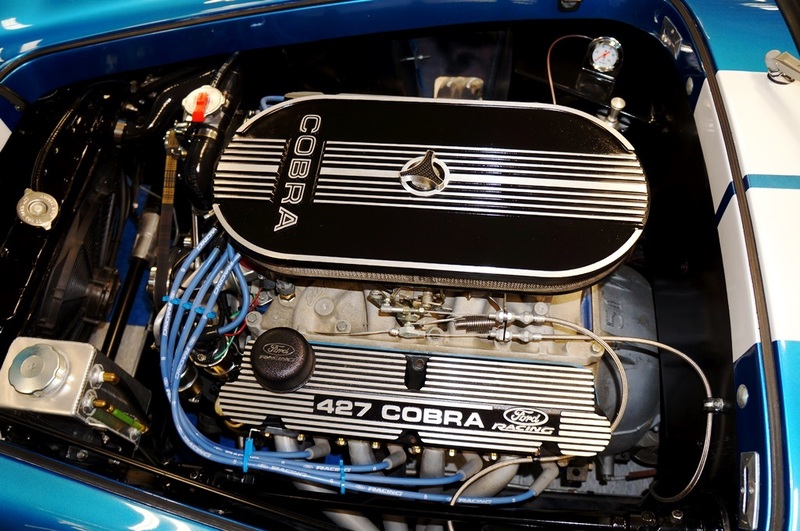 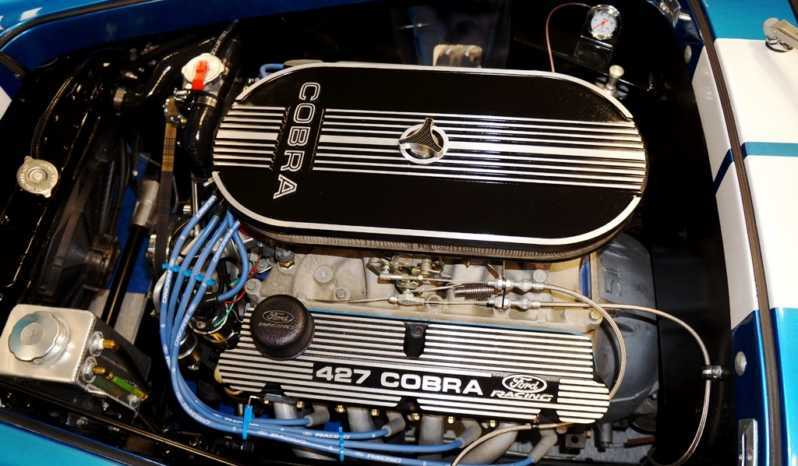 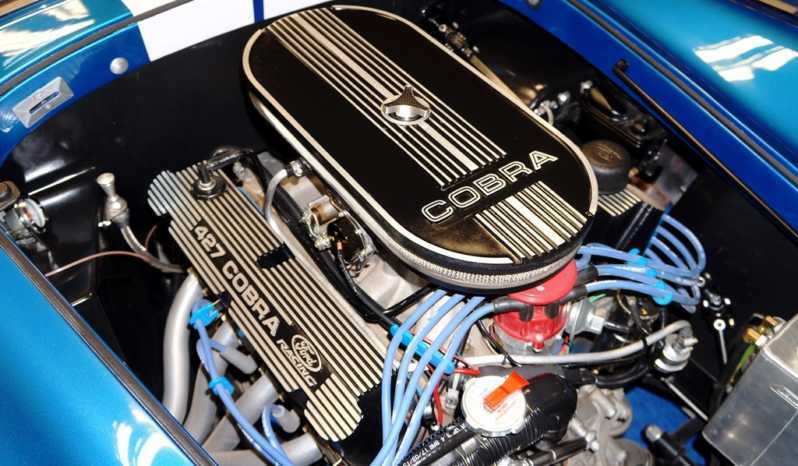 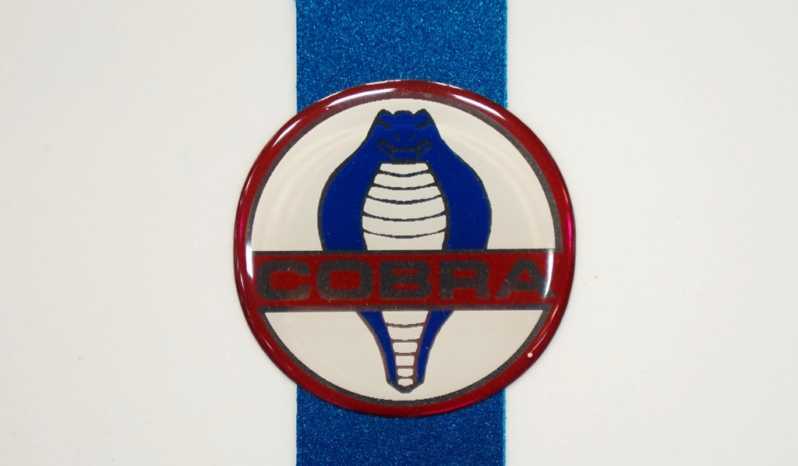 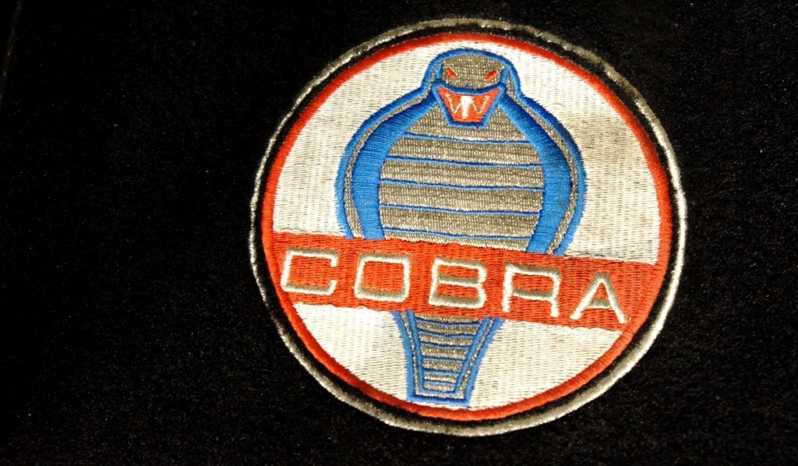 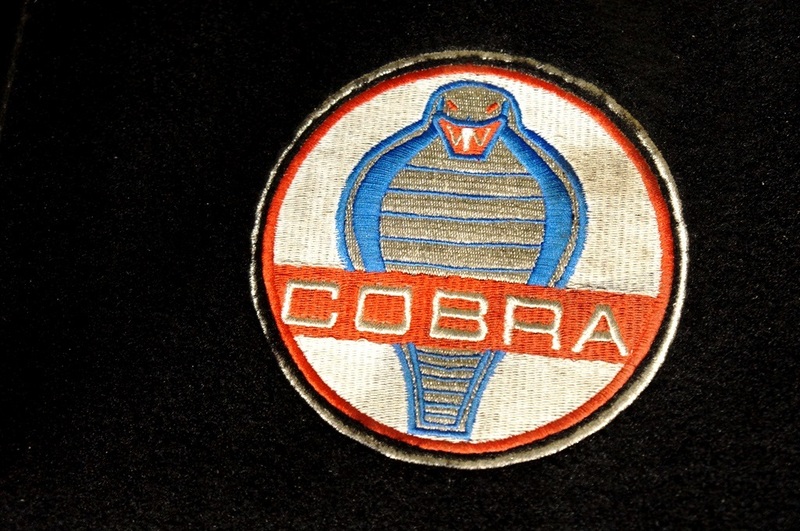 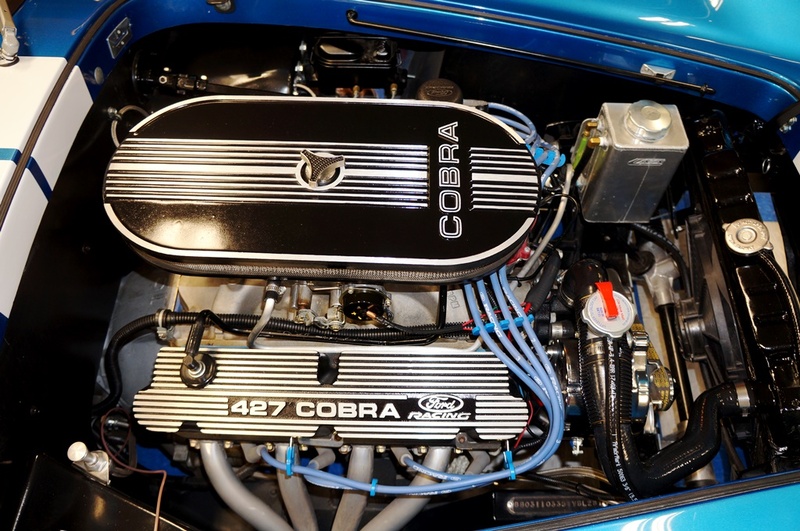 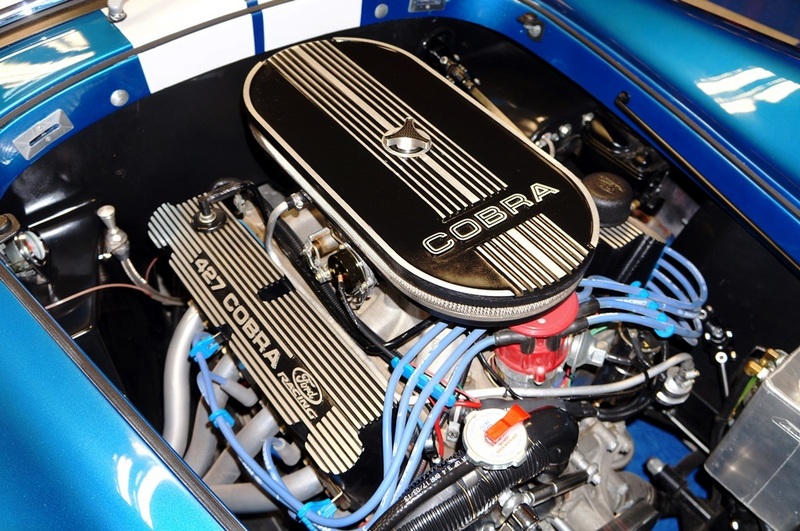 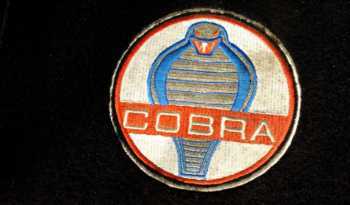 427 Cobra valve covers. 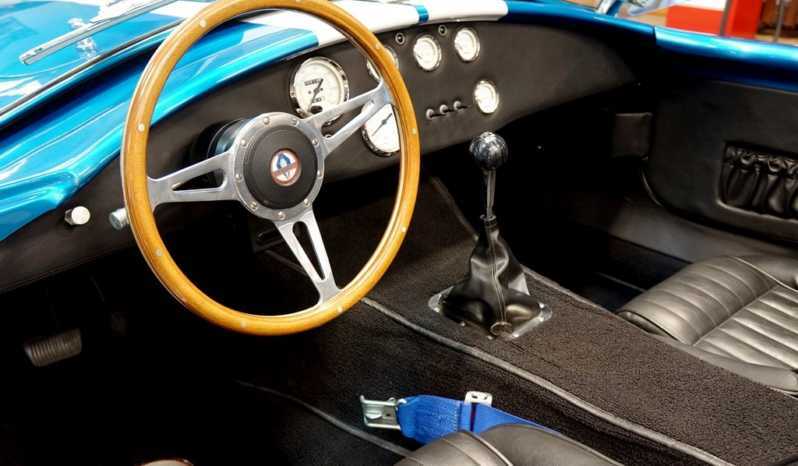 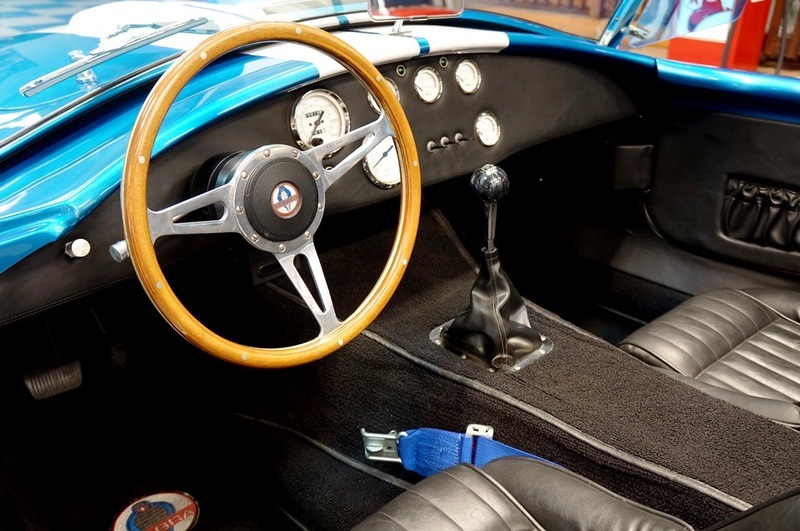 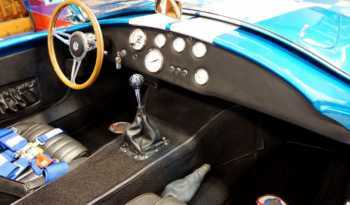 Wood-grain Cobra steering wheel. 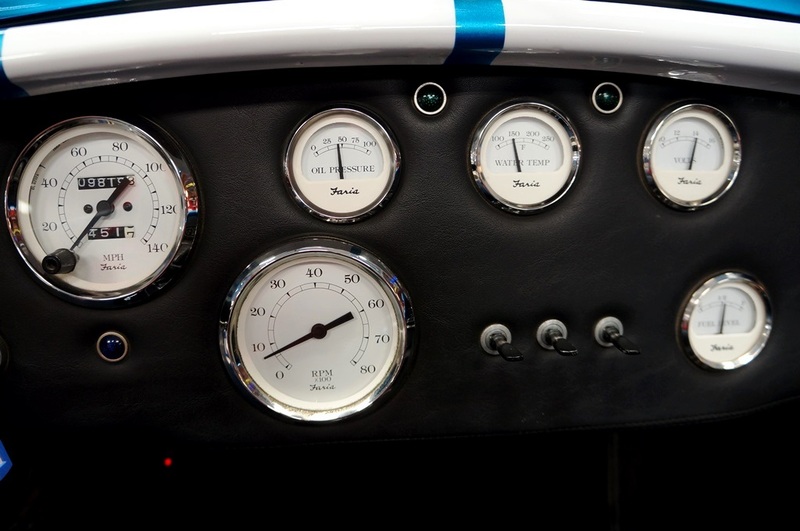 Faria White-face gauge cluster. Lokar shift indicator. 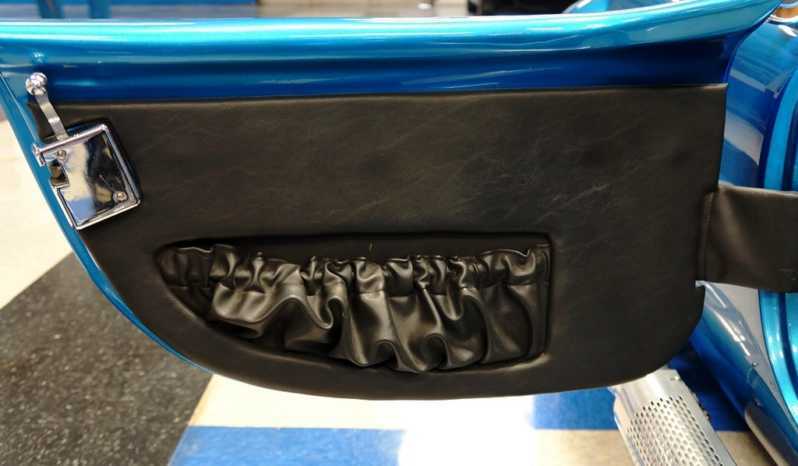 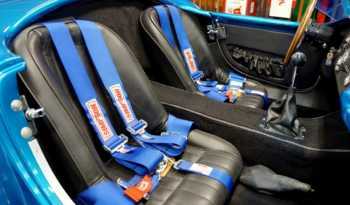 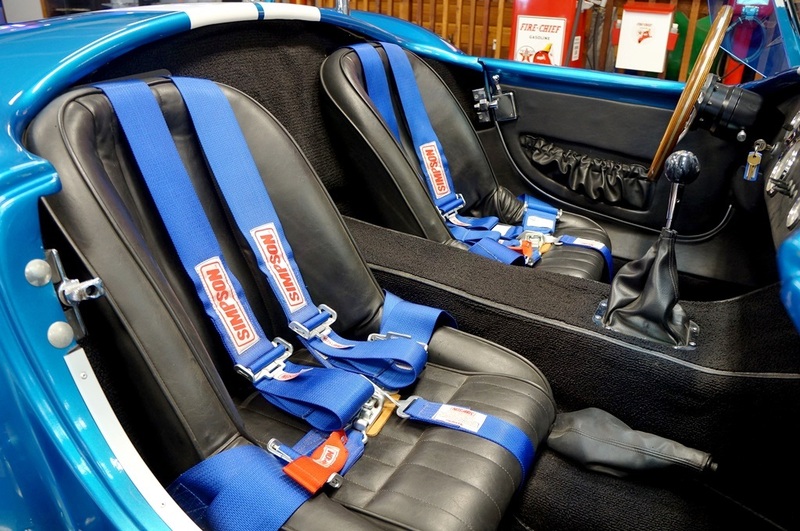 Simpson Racing seat-belts. 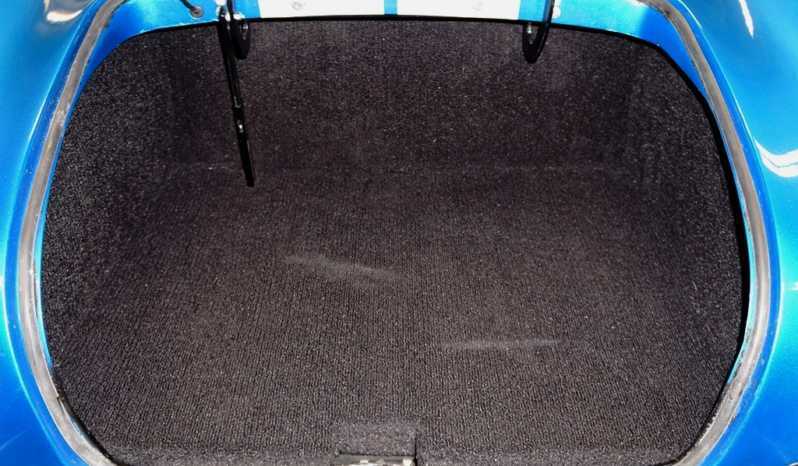 Carpeted trunk. 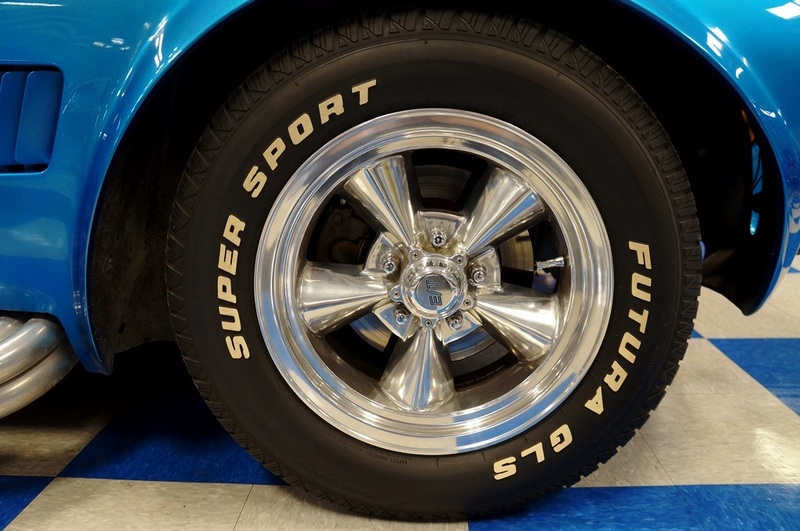 15″ E/T wheels. Showing 9,819 miles on build out of Cobra. 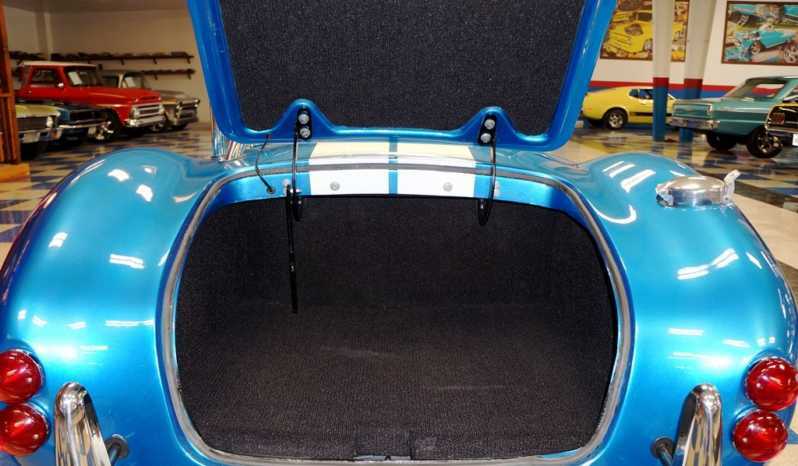 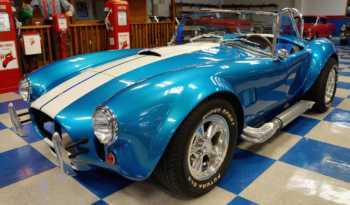 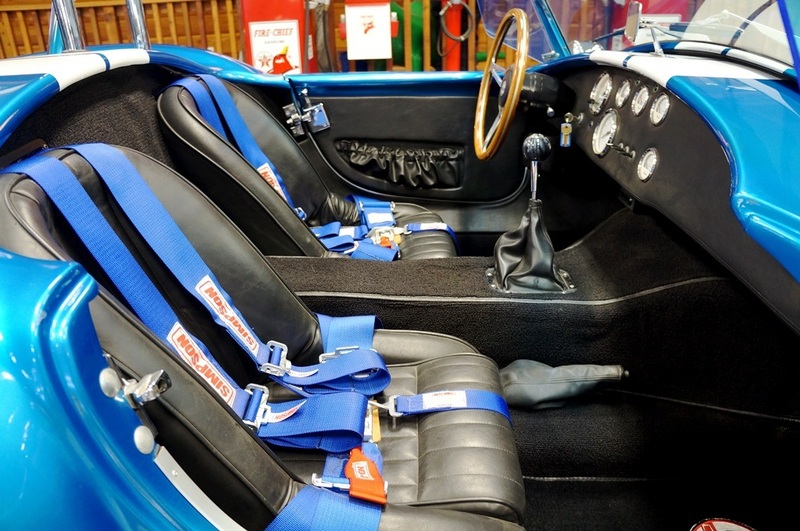 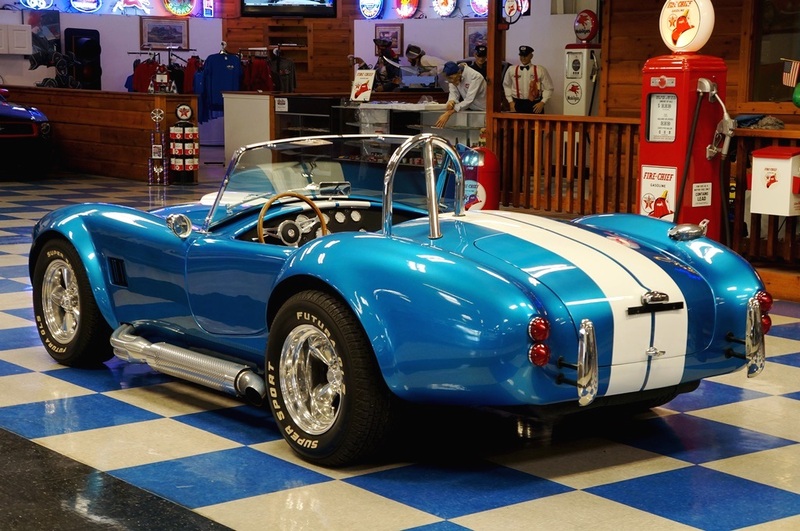 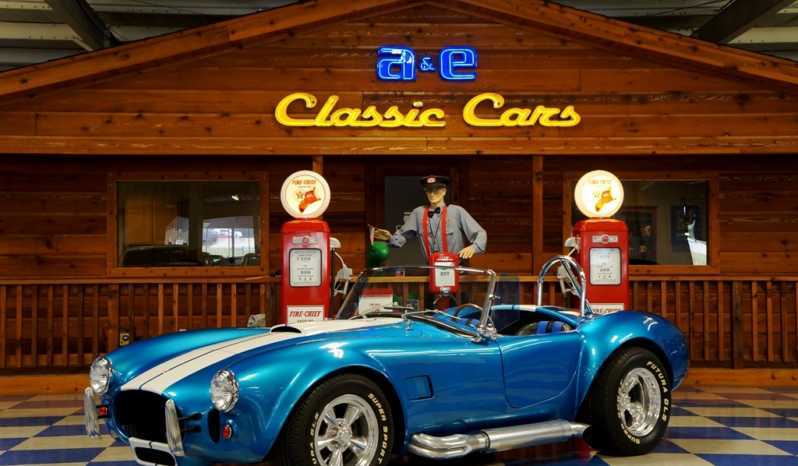 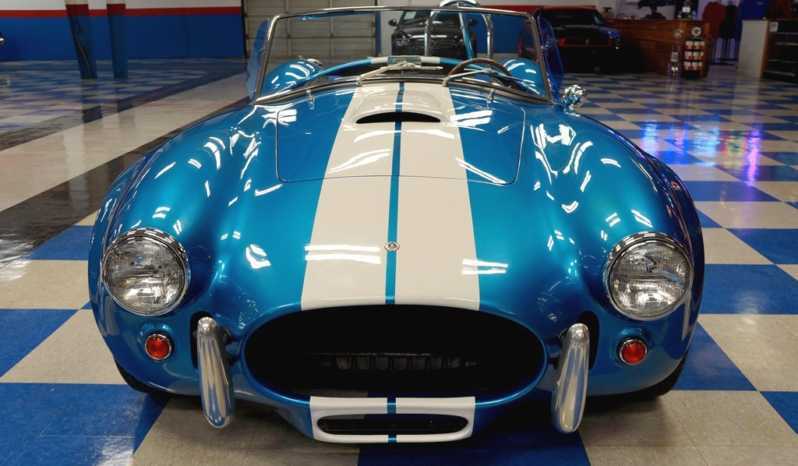 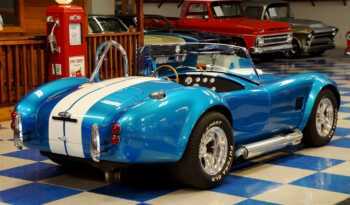 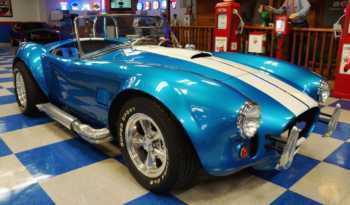 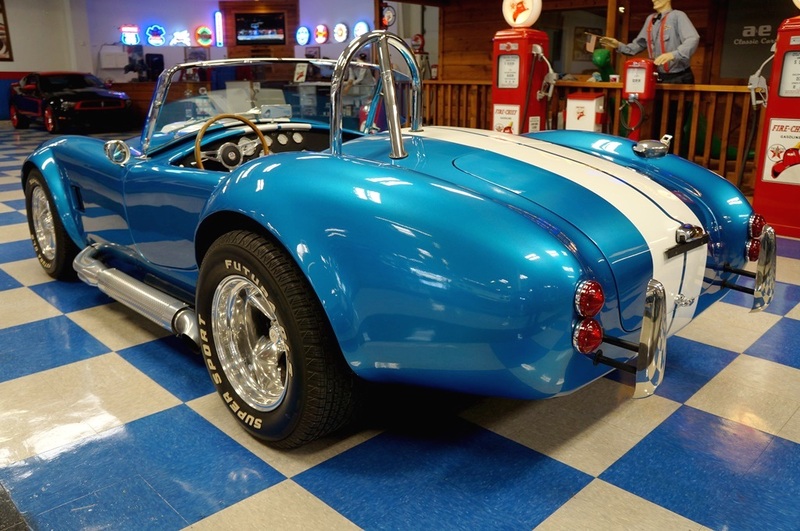 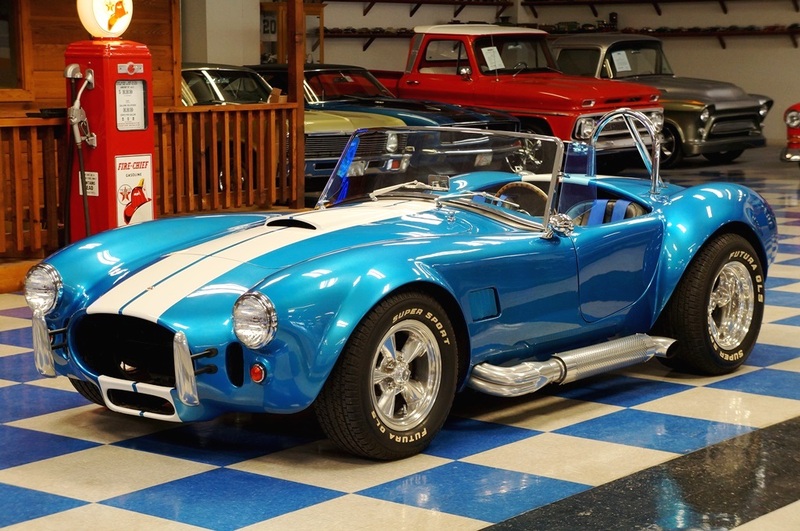 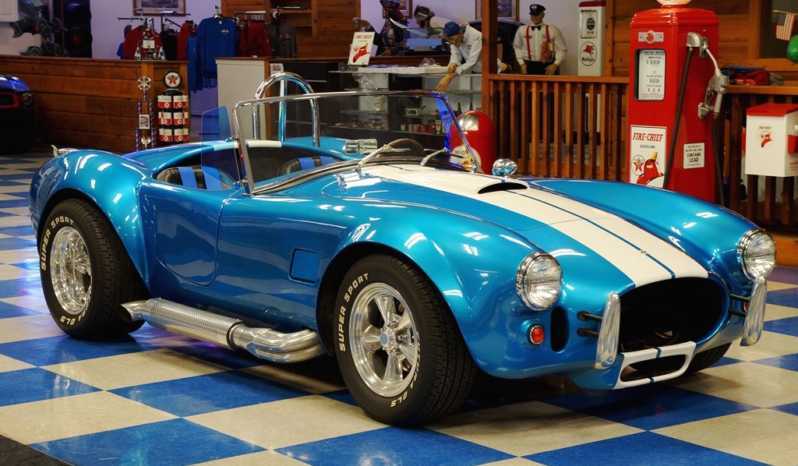 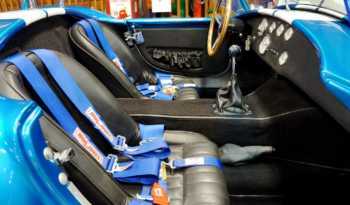 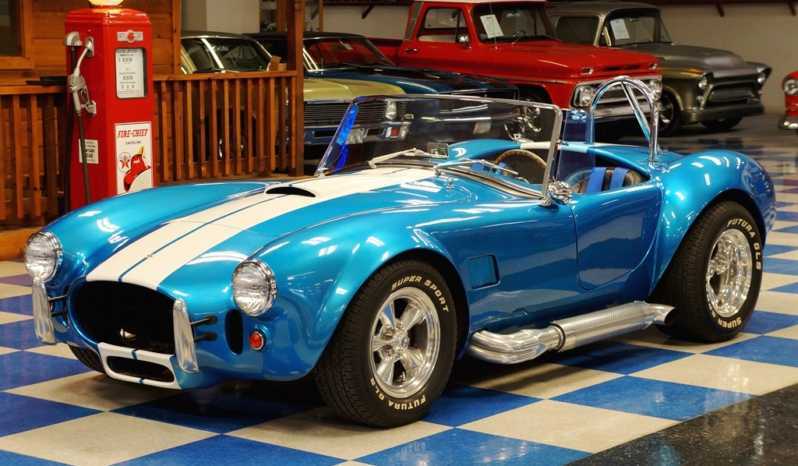 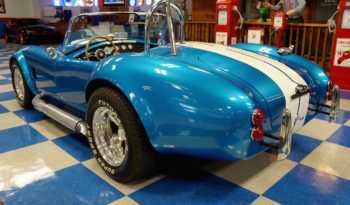 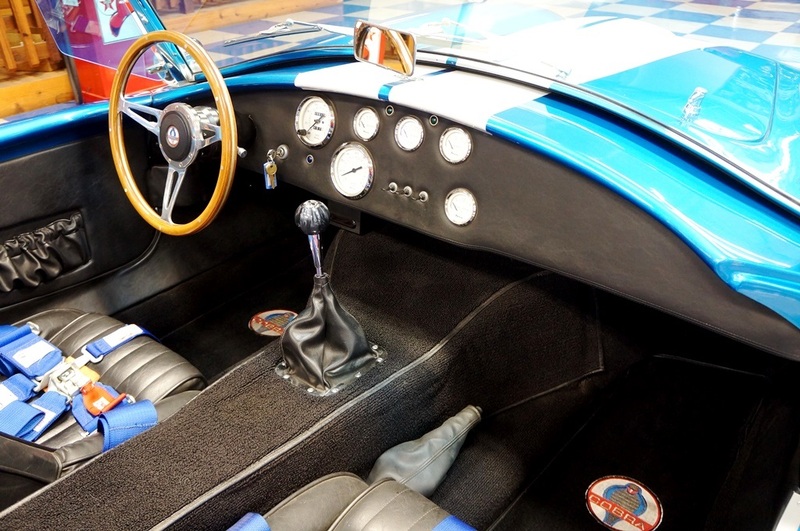 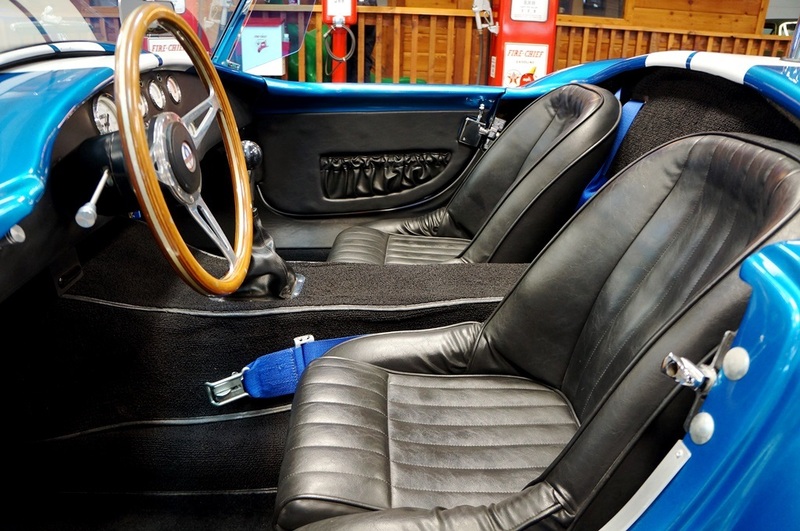 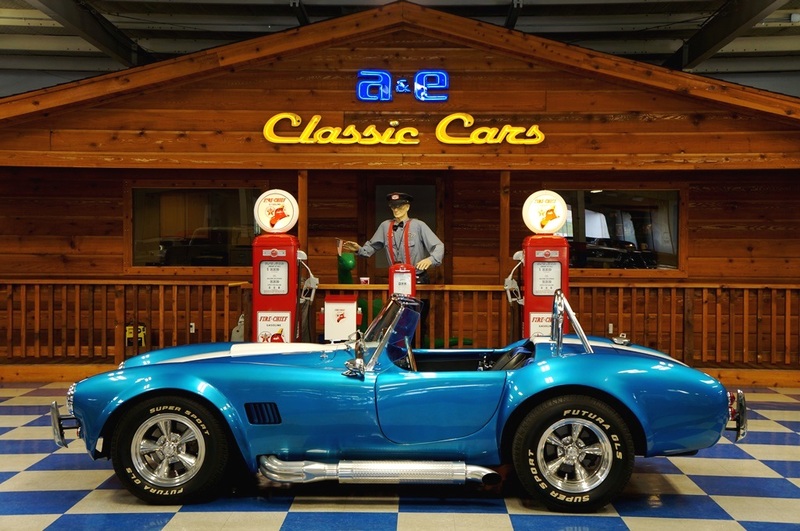 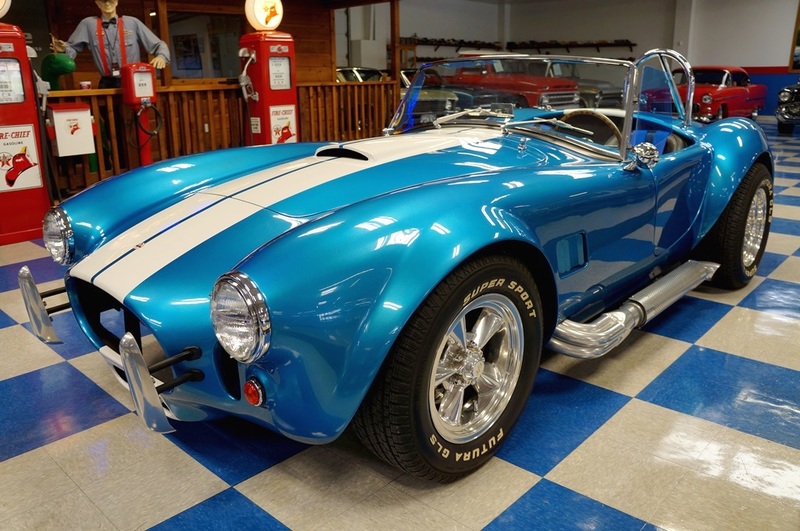 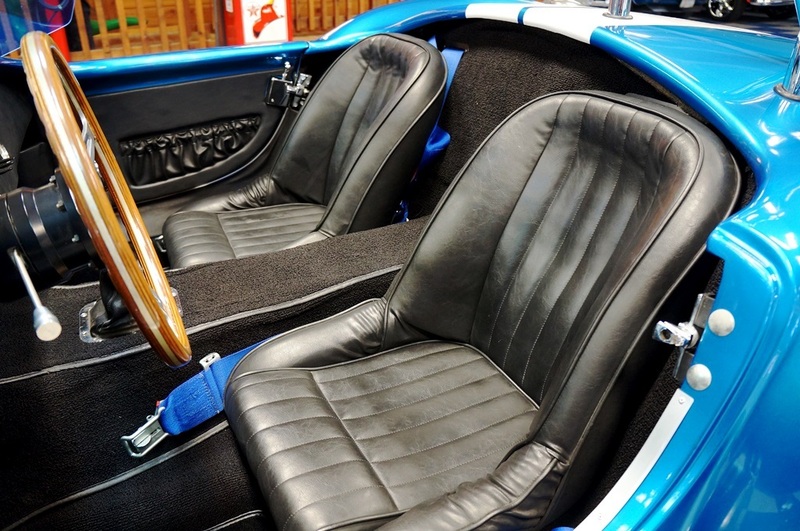 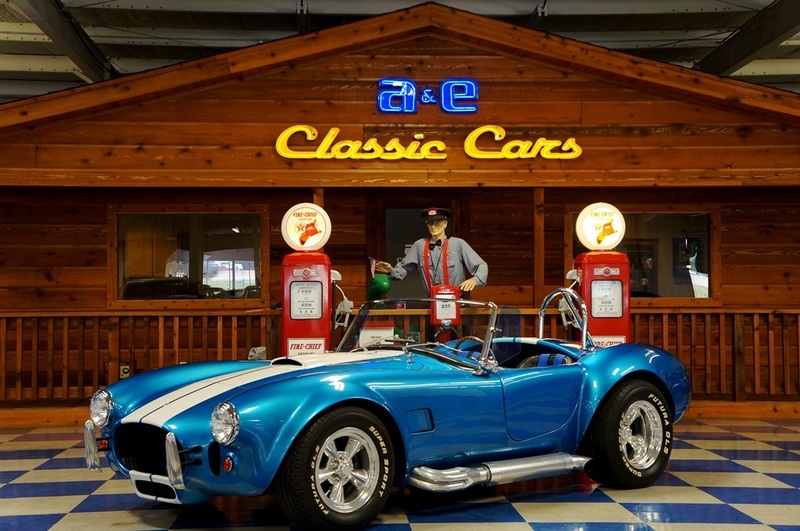 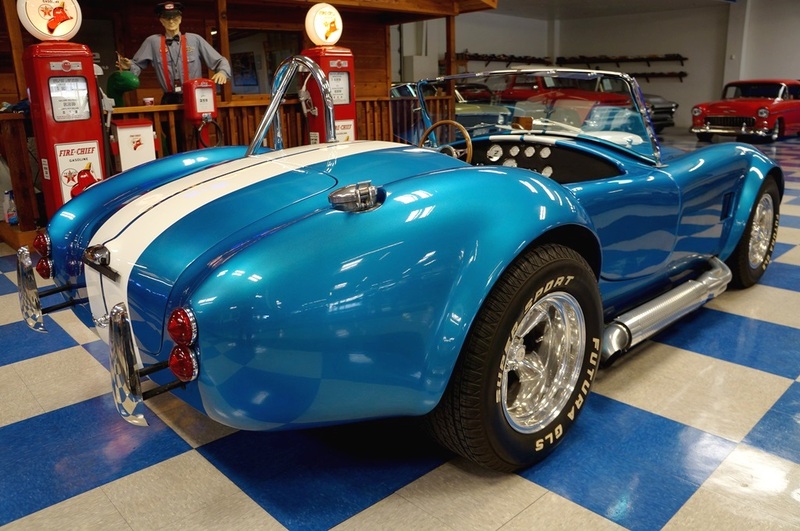 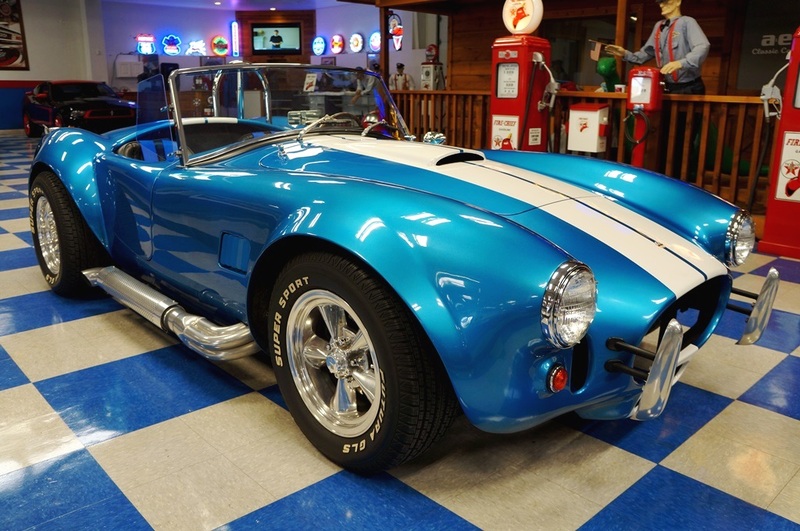 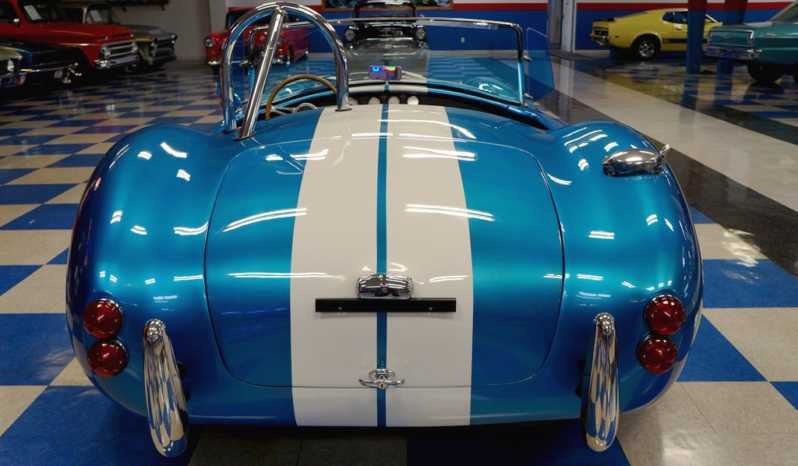 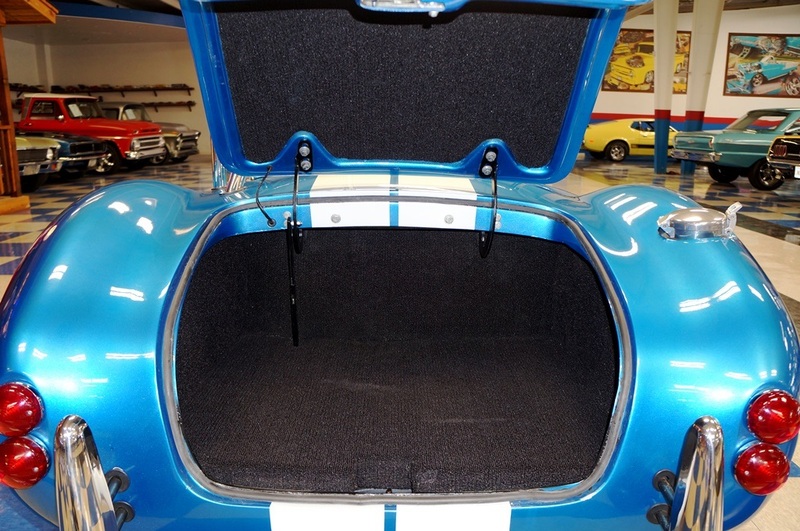 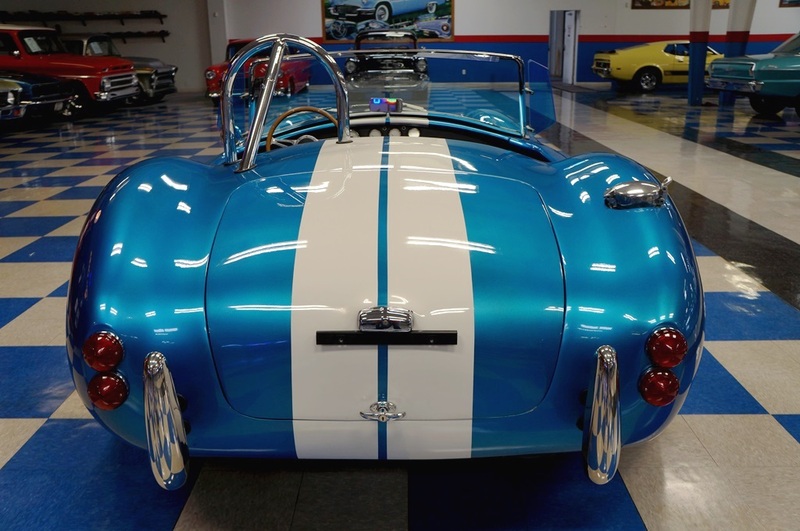 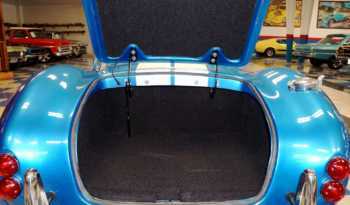 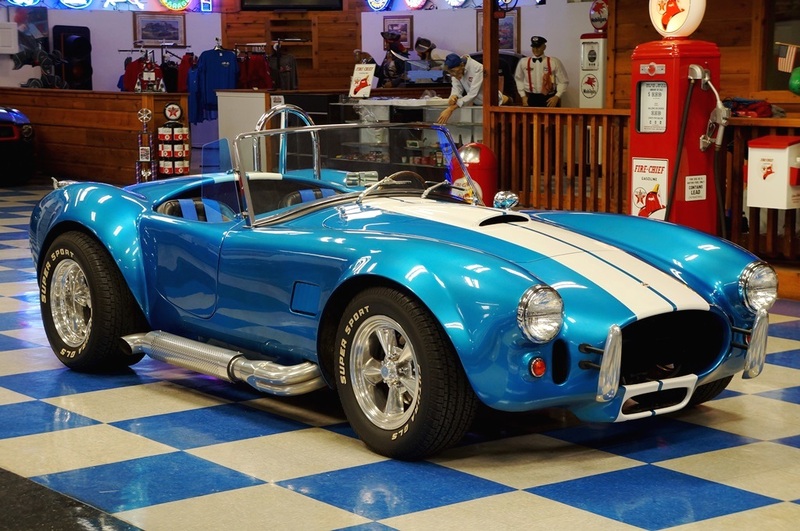 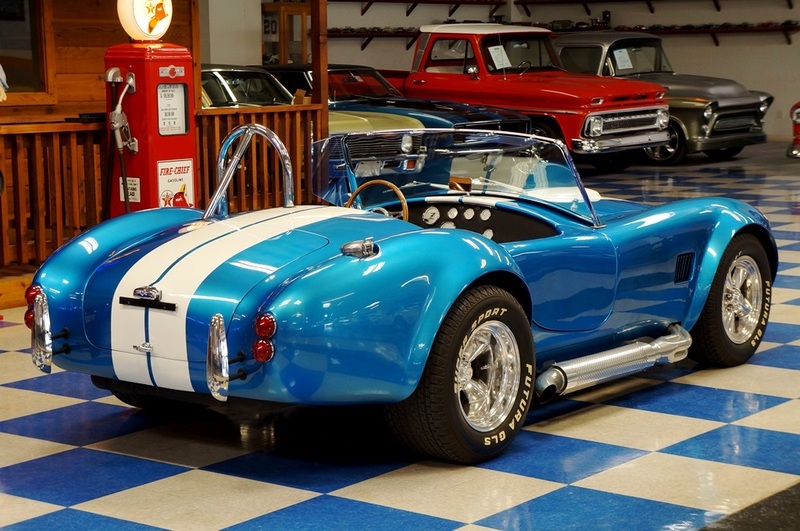 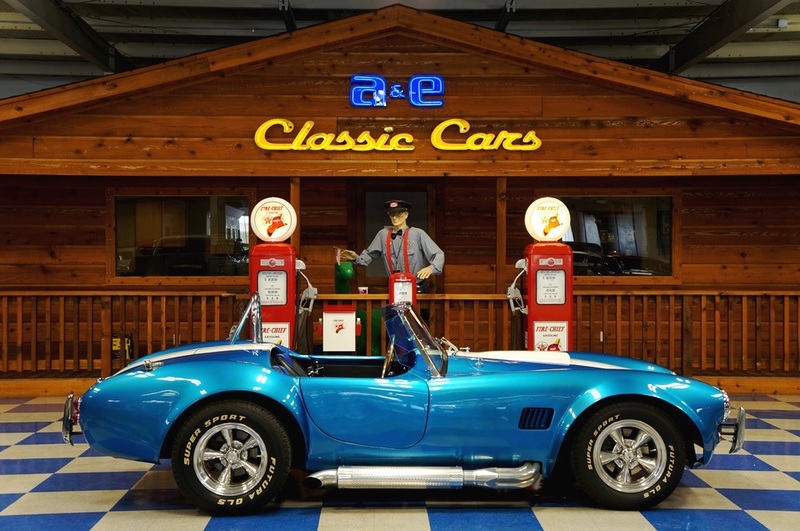 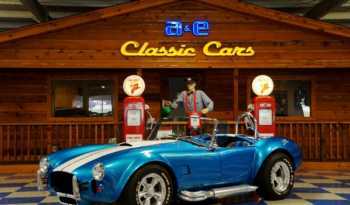 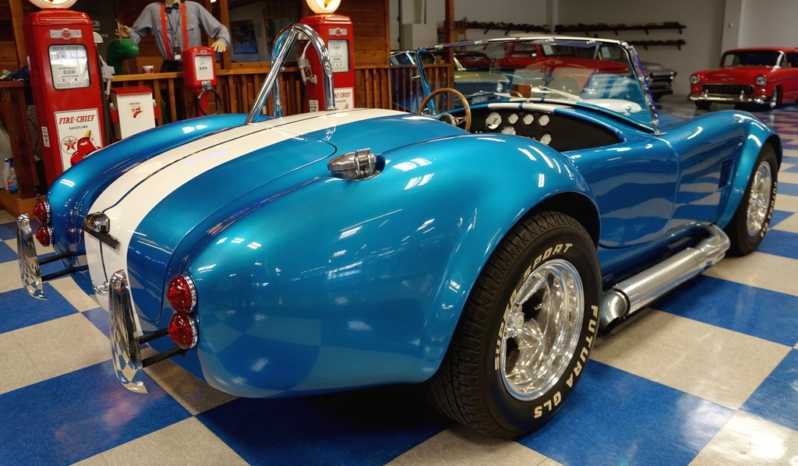 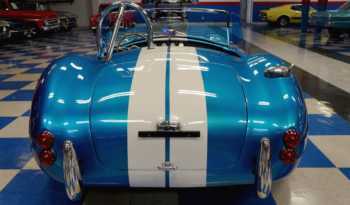 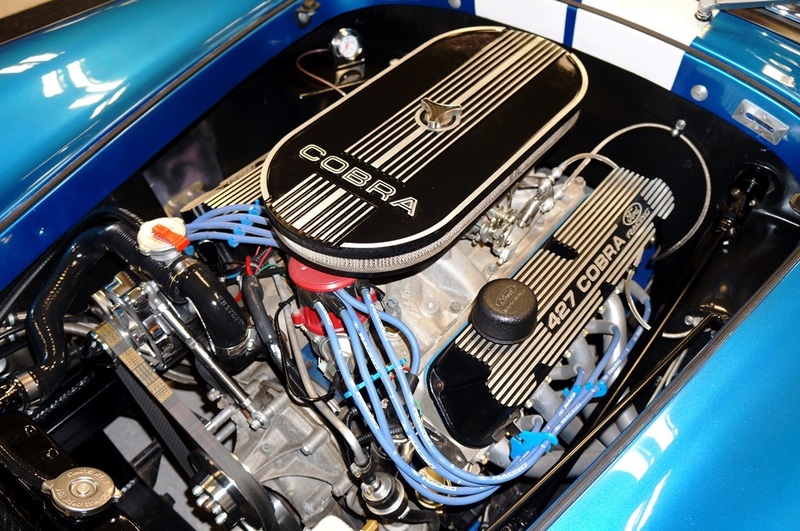 Call (830) 629-4843 for more information on this or any 1965 Shelby Cobra replica for sale in our inventory. 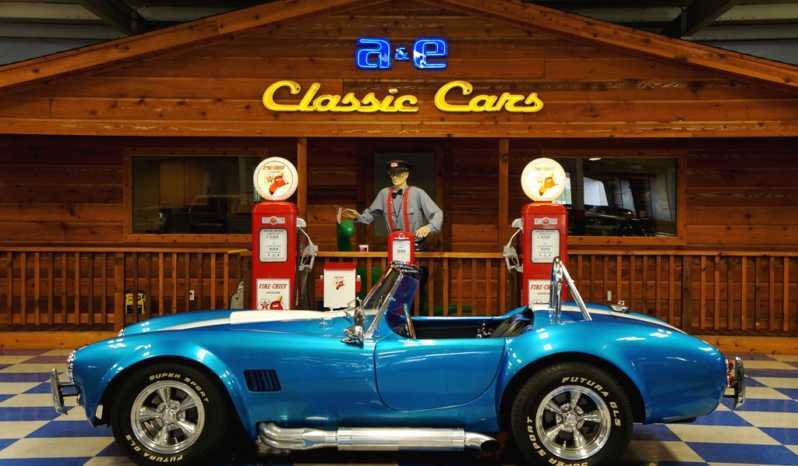 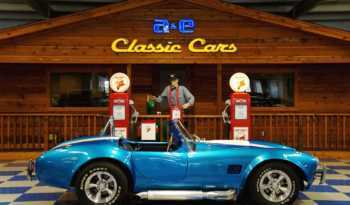 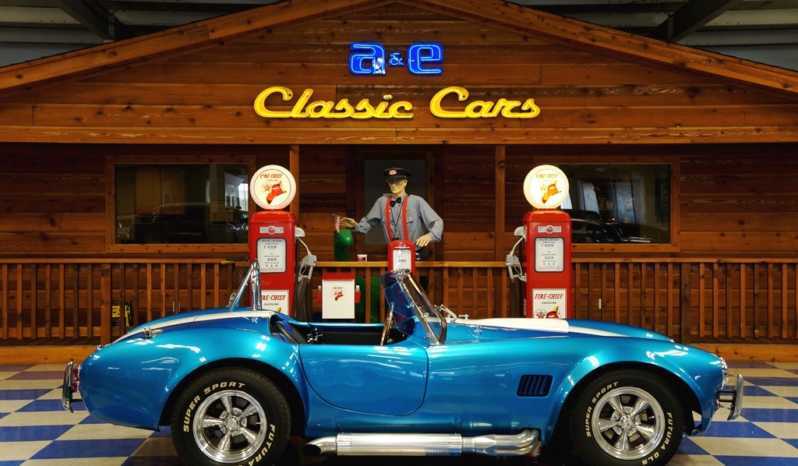 Get in and have fun fun going to your next car show for SOLD!